Wholesale Solar is pleased to offer Solarland's SLP160S-12 monocrystalline 160-watt solar panel. 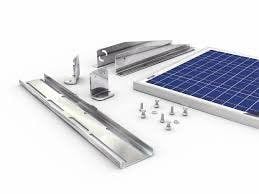 With a nominal 12-volt DC output, this 36-cell solar panel is appropriate for off-grid applications including RVs, street lighting, water pumping, navigation lights, traffic signs and signals. It is an especially good choice if low light is an issue at your installation site.